An accident can ruin your career; it may happen in the workplace or after job hours. An insurance must be considered to replace your working salary to a disability pay when are severely disabled. As of 2018, the trend of applying for disability insurances are higher than it was a decade ago. The reason is millions of injuries and hundreds of deaths during job hours in the United States. According to the Council of Disability Awareness, one out of four people in their 20s are prone to injuries during working hours. Two common disability insurances can be availed by employees to cover the expenses i.e. long-term and short-term disability insurances. The first one covers minimal losses during a shorter time period i.e. from 2 weeks to a month or two up to 2 years at max. The second one covers all expenses from a time period of 2 years to the age of retirement, some insurance companies offer long-term policy for a lifetime. Short-term disability insurance can be used in the waiting period while applying for Long-Term Disability Insurance (LTD), it is best for temporary illnesses or injuries for a few weeks or so. There are great benefits of STD insurances; around 40 to 60 percent of the basic salary is repaid to employees for coverage of mortgage, rent, utility bills, and other expenses. In addition, insurance companies provide rehabilitation programs and better medical facilities to their clients for fast recovery and better treatment from specified hospitals. Benefits may or may not be taxable depending on the policy and the nature of insurance. Short-term disability can be availed in a short time period, starting from the day after injury up to 13 to 26 weeks at max after illness or injury. You cannot apply for long-term disability insurance before exhausting short-term disability insurance. Independent short-term policy also offers a full pre-injury basic salary repayment. How does Short-term Disability work? Short-term Disability (STD) works on a simple principle, in case of sickness or injury that will recover in a few weeks or months, you will get an after-injury adjusted salary that was entitled to your designation before the illness. Mostly, it is 60% of the basic salary received by an employee before injury; all the bonuses and allowances are excluded from the salary to calculate the STD salary. You need to fill out the claim form correctly, get it authorized by your employer and doctor-in-charge. Then send it to the insurance company. All the insurance policies have their claim forms on the official websites. Short-term disability works for injuries or illnesses during and after working hours. If you have hurt yourself while riding back home from the office or during work, the benefits are similar in both cases. What’s Not Included in Short-term Disability? Short-term Disability Insurance and Long-term Disability Insurance are carried out as complementary plans to each other. 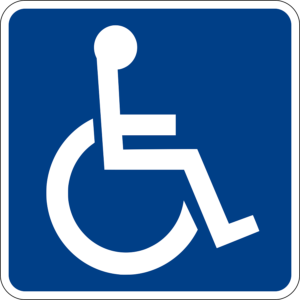 Short-term disability is for a few weeks, it can be availed in days and has higher premium. Long-term disability help cover the financial expenses until the age of retirement, or for a lifetime. There is a limit to your insurance coverage, the time factor counts as it takes 3 or 6 months to 2 years before the insurance privileges run out. How long is a short-term disability? Short-term Disability Insurance can be for a month, a quarter of a year, half a year, twelve or twenty-four months owing to the nature of disability and recovery period. Who should buy short-term disability insurance? Employees from all age groups are eligible to apply for a short-term disability coverage. The best time to buy insurance plan is right at the start of the career. One of four 20-year-old Americans suffer from short-term or long-term disabilities, it is better to save earnings while applying for a disability insurance to cover lifestyle expenses. Looking for best Short-term Disability Insurance? If you are looking for a best Short-term Disability Insurance? Give us a call today at +1 (800) 788-8921 or send us an email here. Disability Insurance Advisor is ready to help. We are in the disability insurance field for the last 20 years. We can help you understand the coverage and limitations of your current insurance policies held such as Medicare, Medigap Insurance (also known as Medicare Supplemental Insurance), Medicaid, or other similar policies for living assistance help.